Rather than put up with the chaotic gaggle of remote controls on your coffee table, you can switch to using a single sleek device (hint: it's probably in your pocket right now)! Though a half dozen remote controls clutter your coffee table at any given time, doesn’t it always seem like the one you need is nowhere to be found? With a new smart home product, the Blumoo Universal Remote, you can once and for all eliminate the unsightly arsenal of clickers bringing down the look of your living room or den. The quietly revolutionary Blumoo and its companion app manage to pack the power of all your many different remotes into a single device—your smartphone. If you’re like me and always carry your phone all the time, you’ll never again need to go hunting in the sofa cushions; the remote is in your pocket! It’s impressive technology. 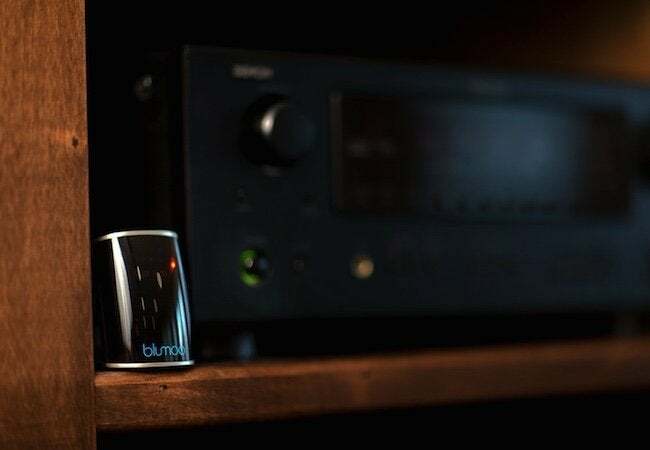 Although it doesn’t work for every television, stereo amplifier, and DVD player in the history of electronics, Blumoo recognizes an ever-expanding group of more than 200,000 models. Once you’ve downloaded the free Blumoo app, you can then begin to use your iPhone or Android mobile device to perform the most useful functions of your regular remotes—switching gear on and off, for instance, or turning the volume up and down—from up to 150 feet away. 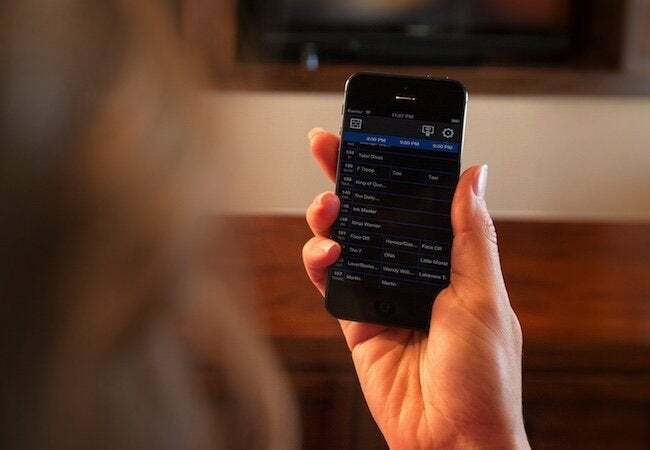 On the app, you can even scan local TV listings and take advantage of an option that enables you to create a single-screen custom remote for all your A/V equipment. 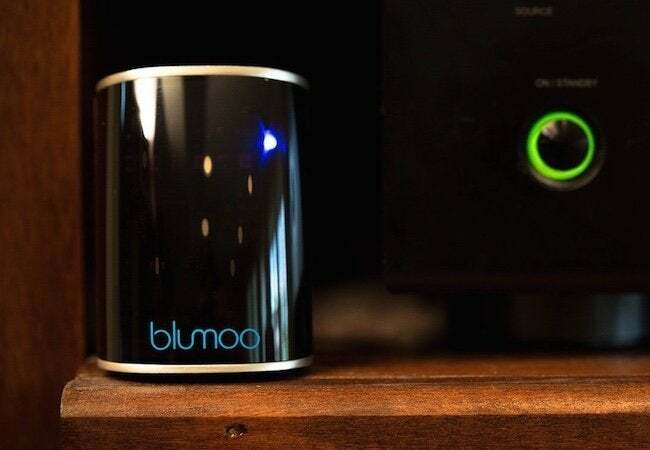 Another neat trick Blumoo can do: So long as you hook it up to your stereo system, you can stream music from your mobile device to your speakers. The necessary RCA cable comes with your purchase. Of course, Blumoo isn’t cheap, but if you’re sick and tired of traditional remote controls, it may be well worth the cost. If any of your system components are not among the 200,000 currently supported, you can request that the model be added to the Blumoo database. According to Blumoo, additions are possible within a couple days. Also note that not every mobile device has Blumoo-compatible hardware and software. You need an iPhone 4S or newer; fifth-generation iPod Touch or newer; third-generation iPad or newer; or a device running version 4.0 (or later) of the Android operating system.